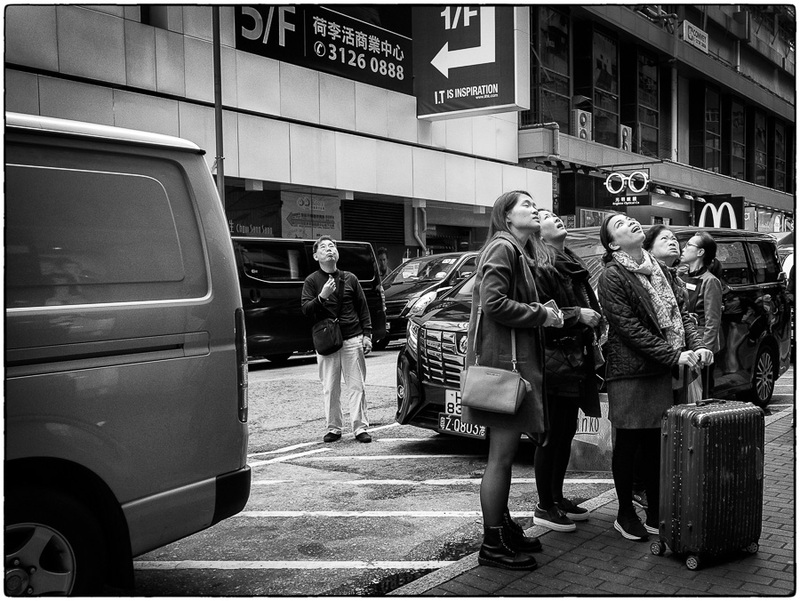 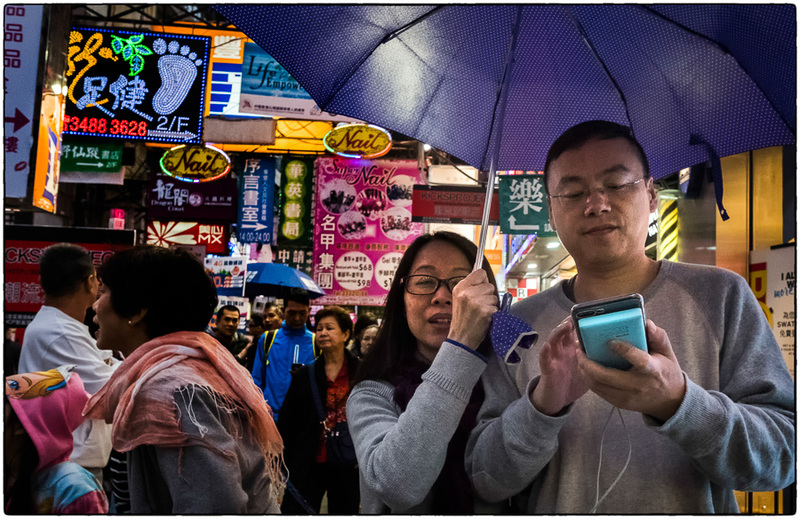 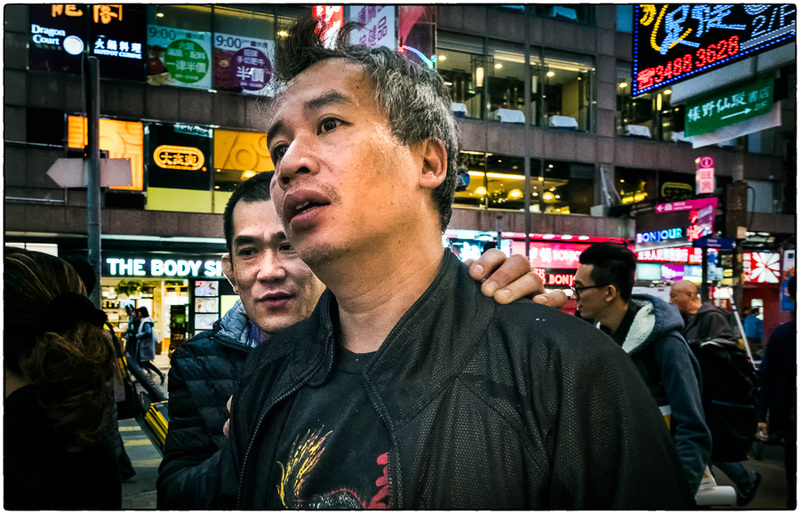 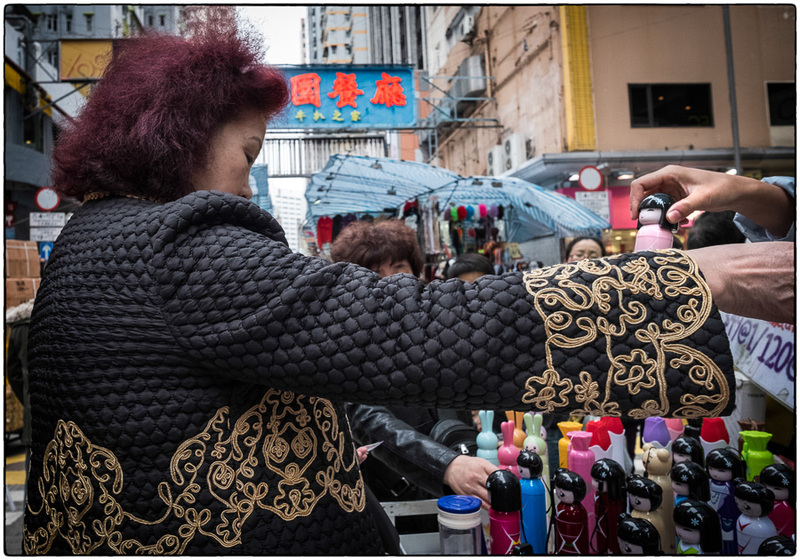 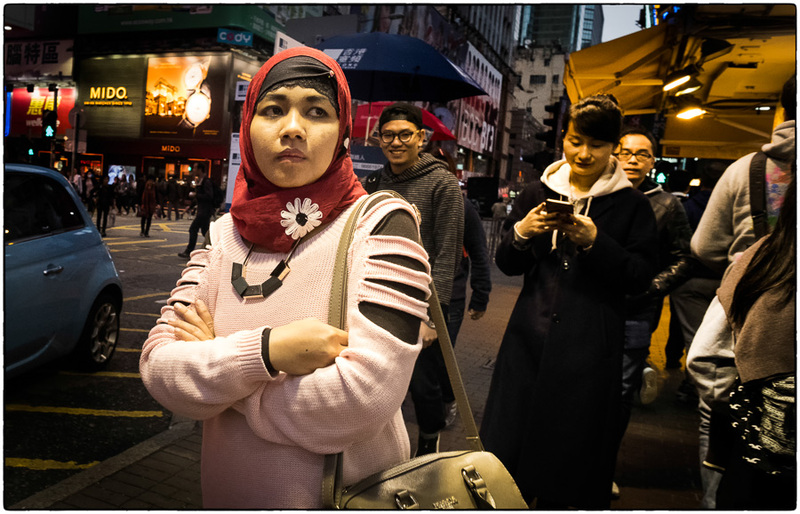 I enjoyed a whirlwind photo walk in TST and Mong Kok for a few hours before flying home. 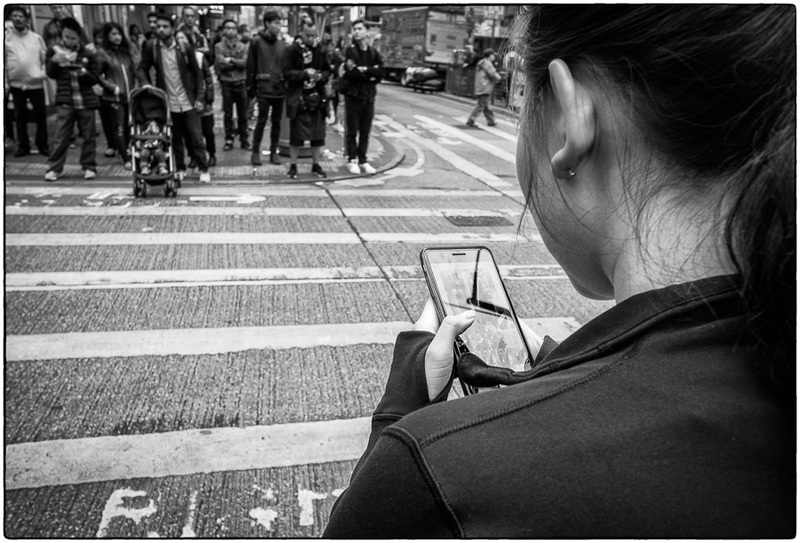 I logged 9.2 miles of walking and got some interesting close-up shots. 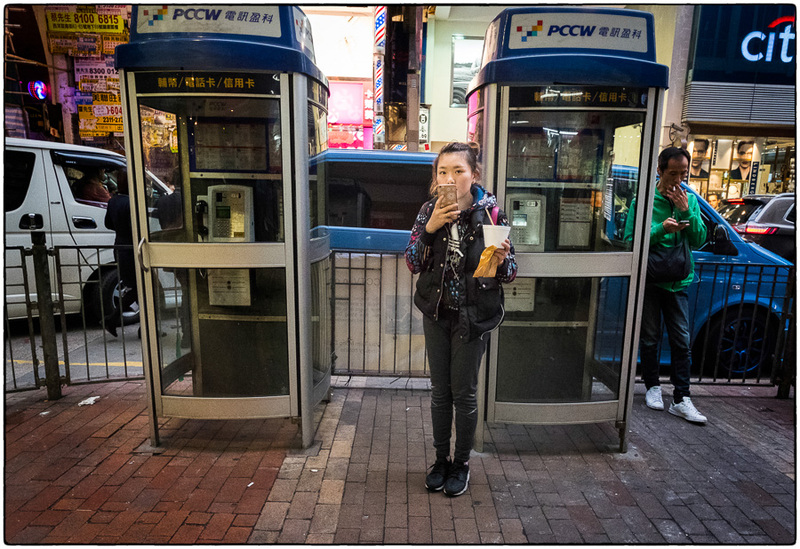 I used the 14mm f2.8 lens on the Fuji X-Pro2 for all of these images. 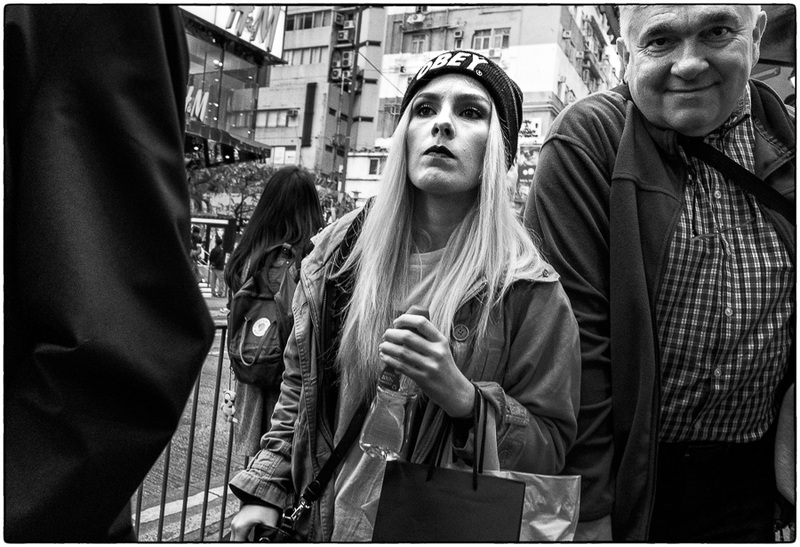 Because the 14mm is such a wide angle lens it’s important to get very near people to fill the frame. 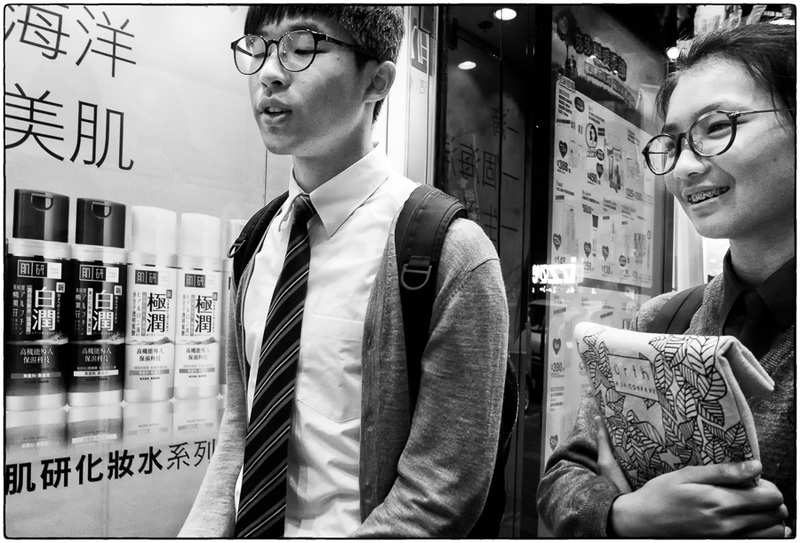 It’s definitely not a lens for bashful people. 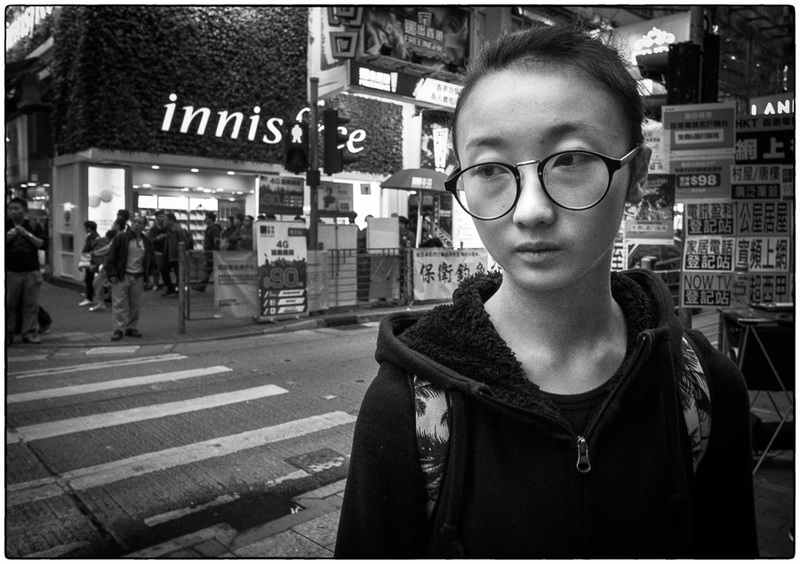 With some lenses, it feels like you “document” a scene. 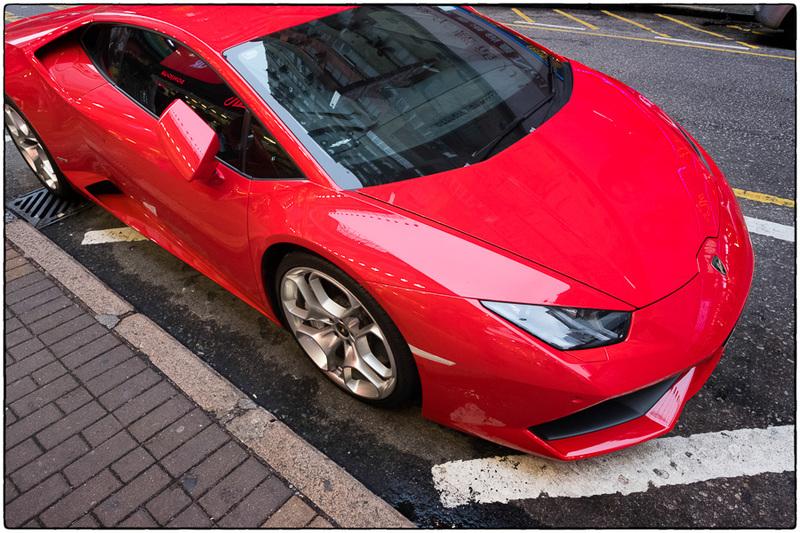 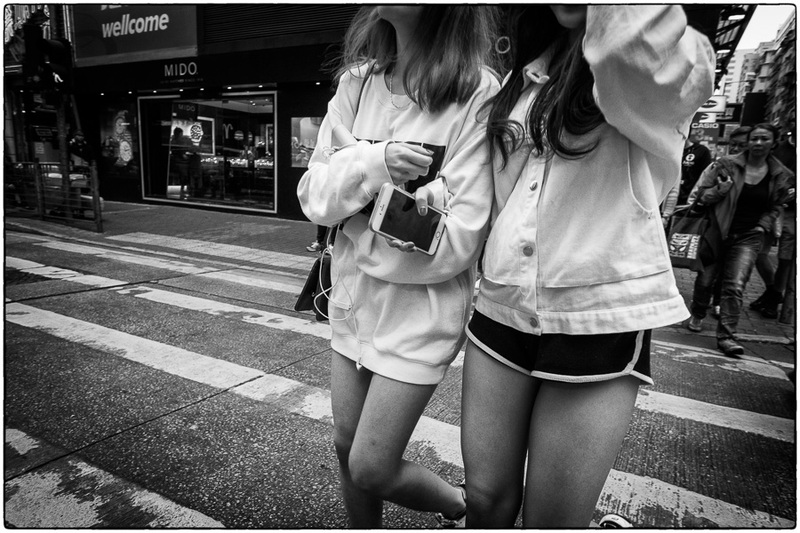 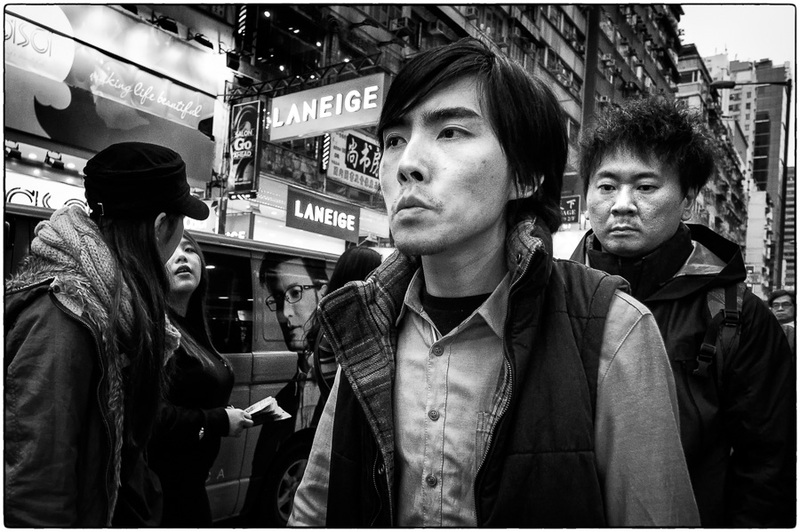 If done properly (and discretely) it can appear that you’ve actually entered the scene with the 14mm lens. 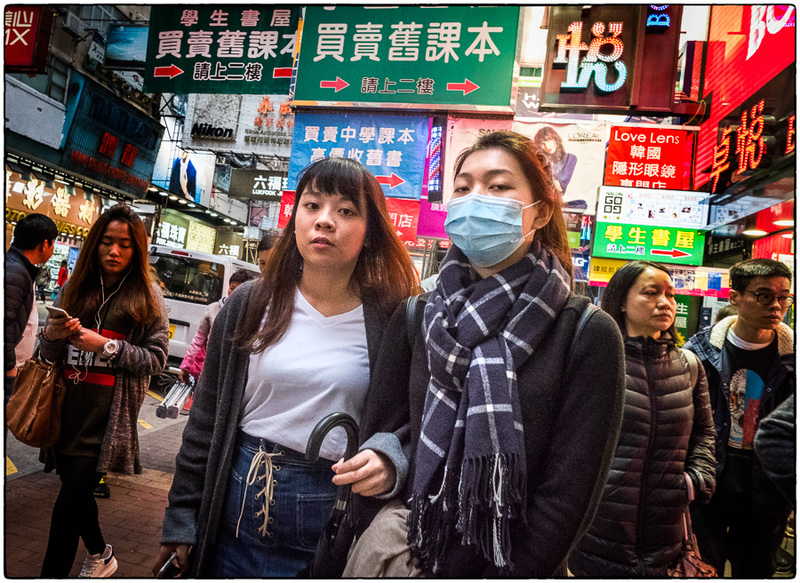 My favorite locations to photograph in Hong Kong are the MTR subway and Argyle Street in Mong Kok, which can be insanely crowded in the evening. 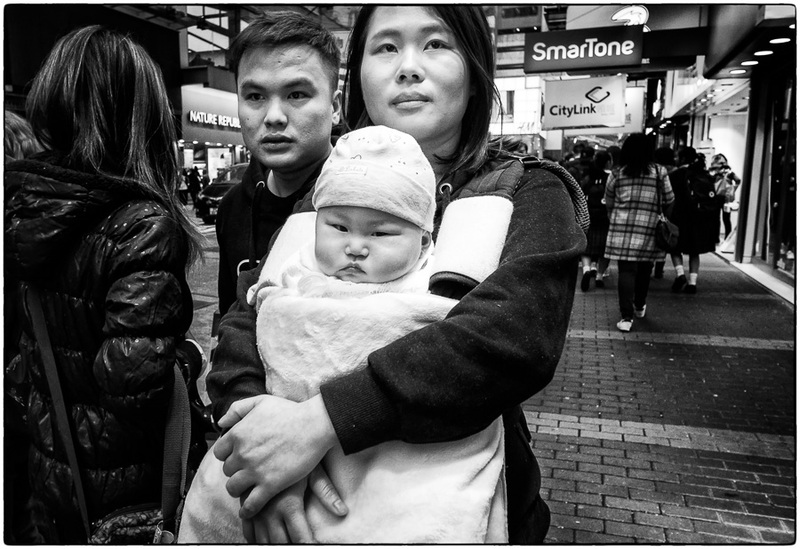 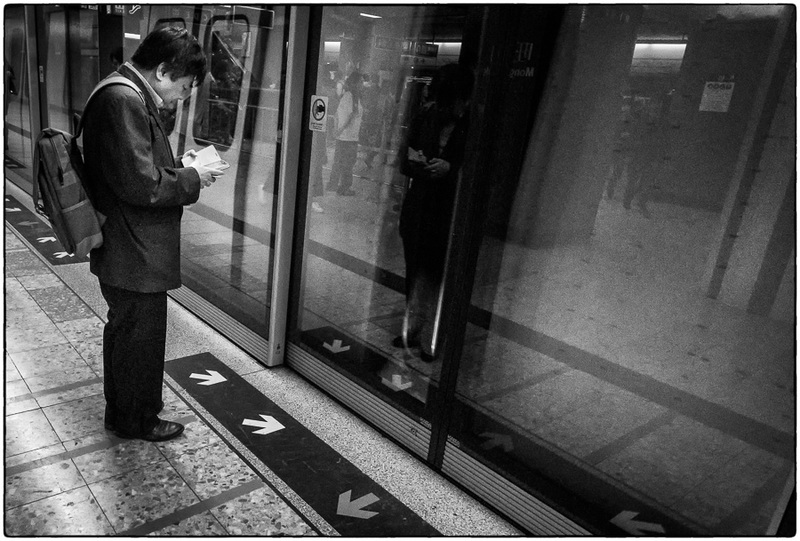 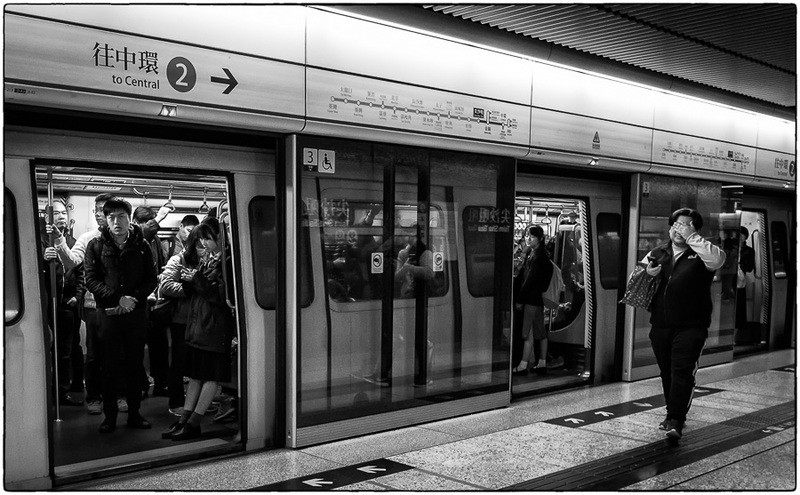 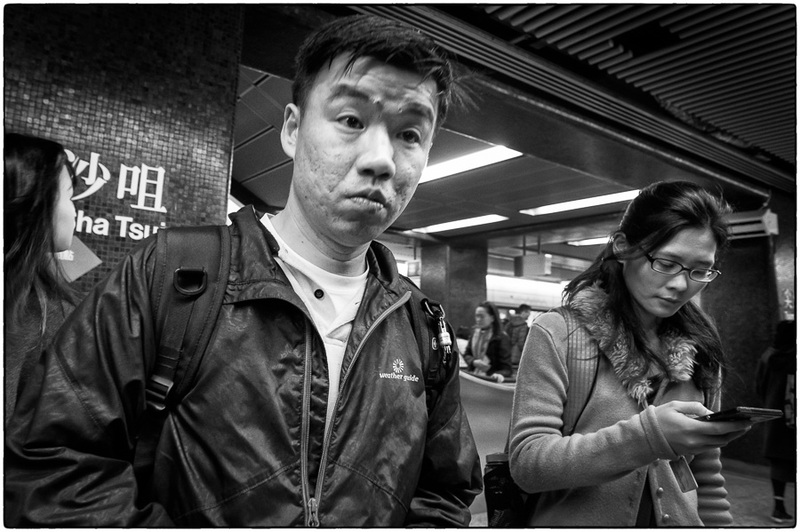 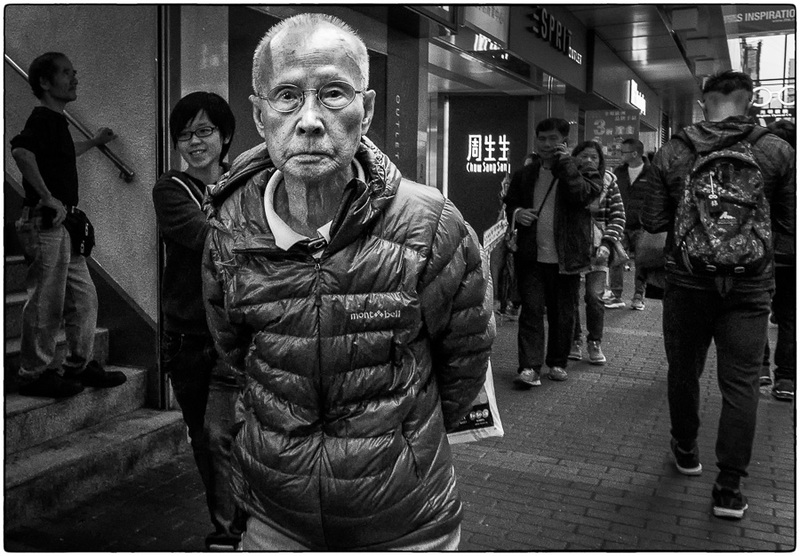 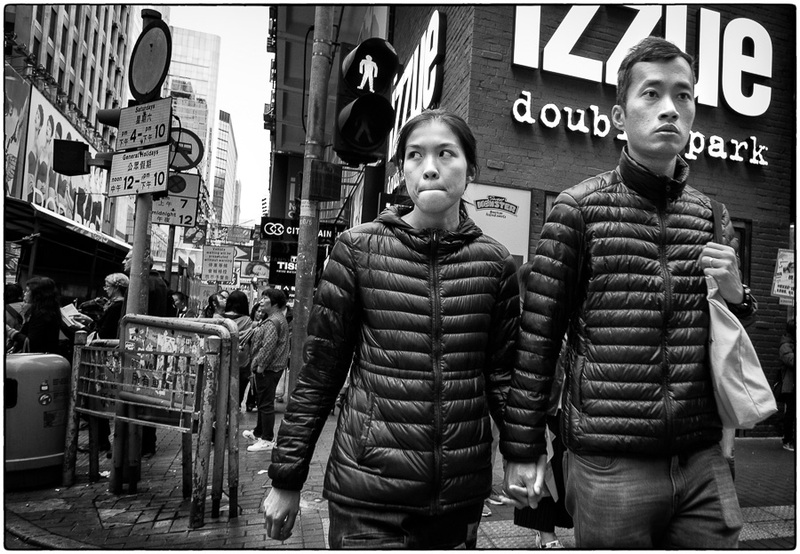 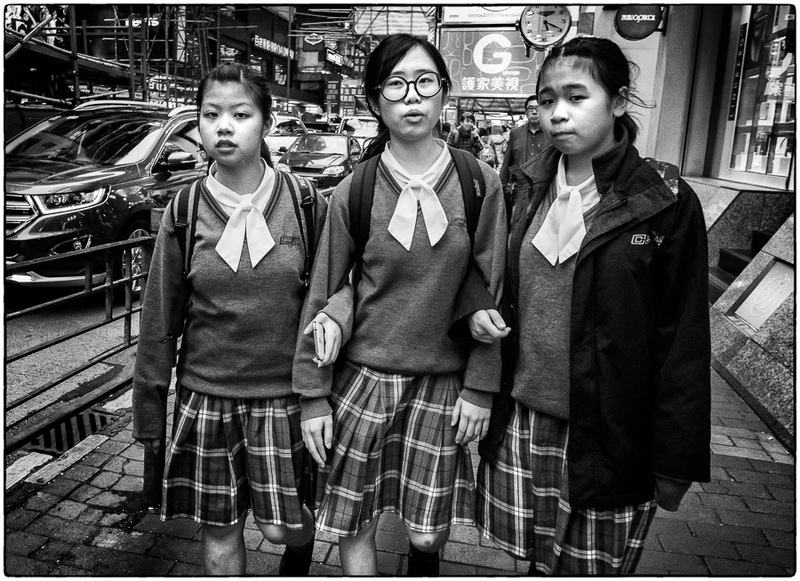 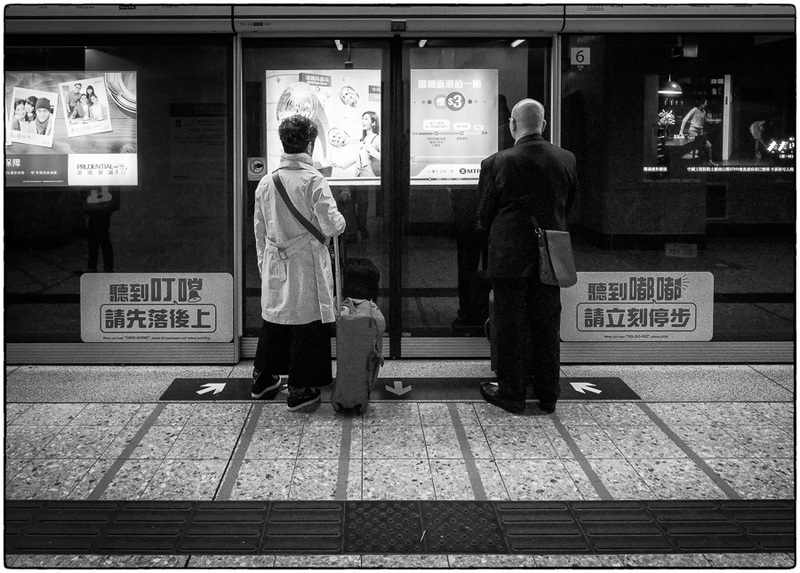 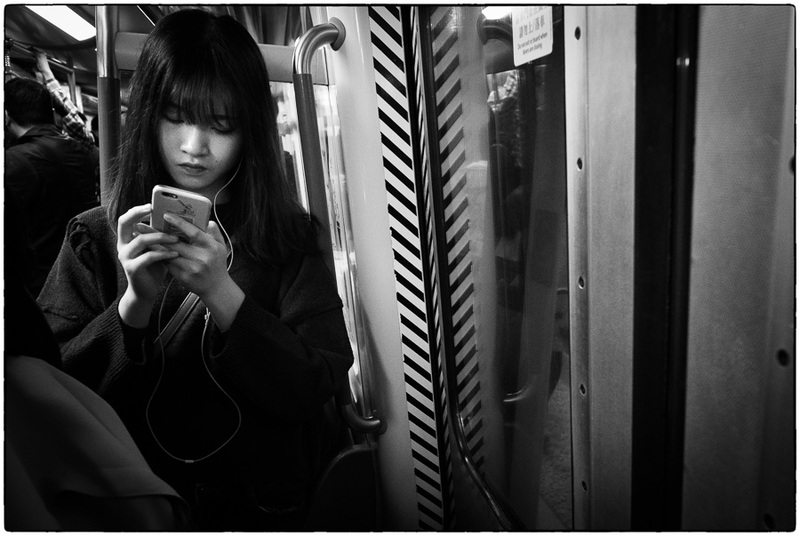 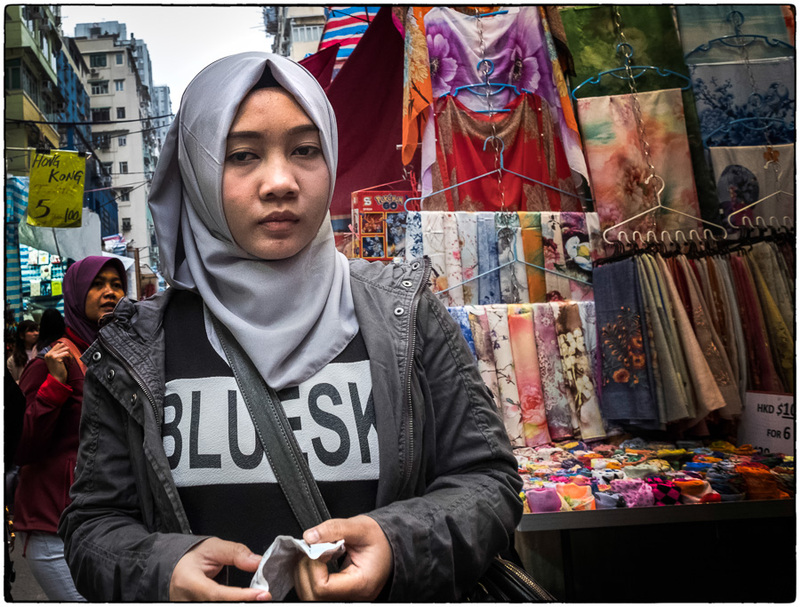 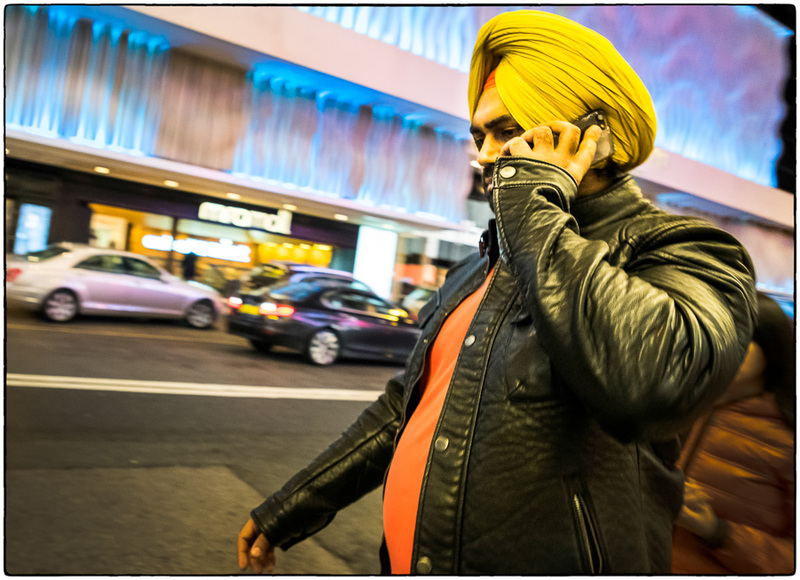 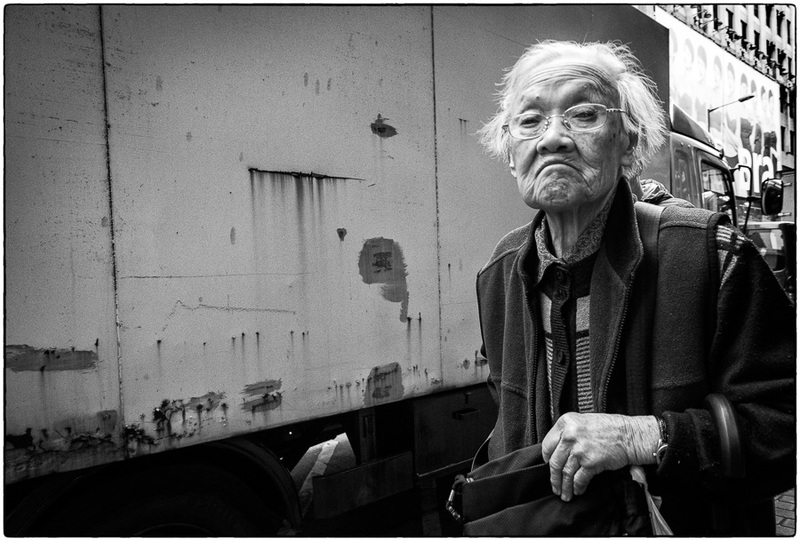 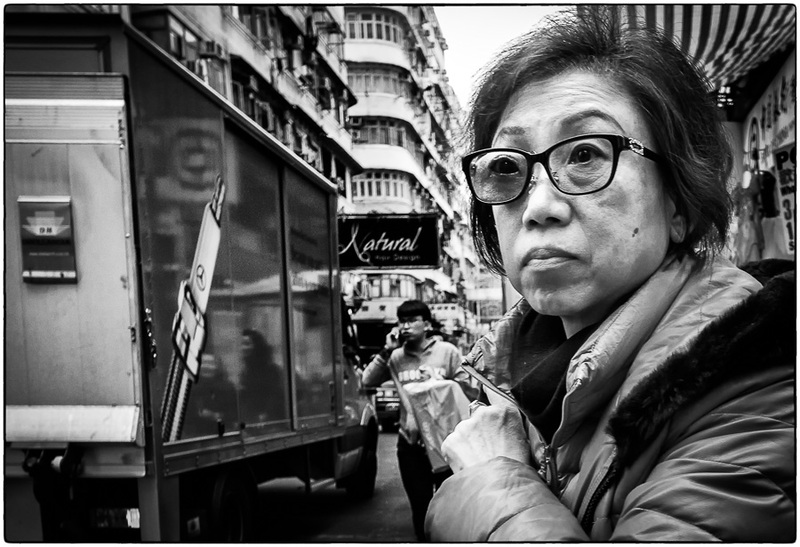 I’ve said it before – Hong Kong is my absolute favorite city for street photography. 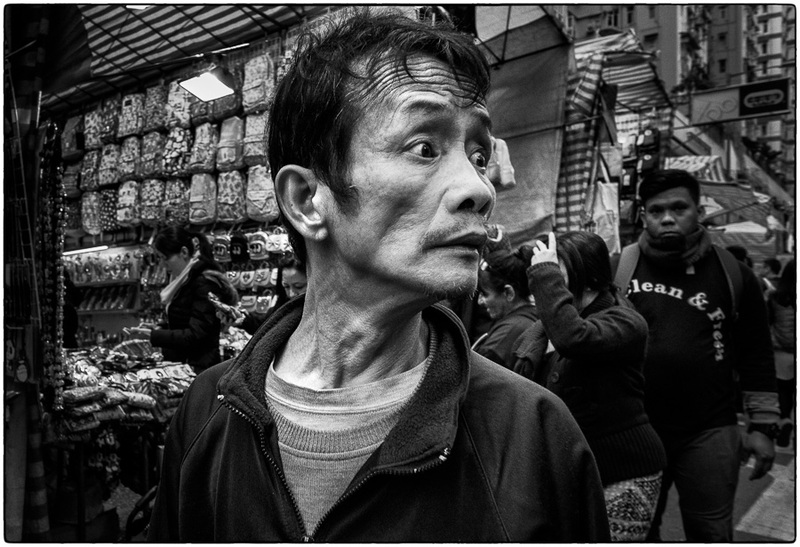 I shot over 700 photos in 4 hours, which yielded a significant number of “keepers”. 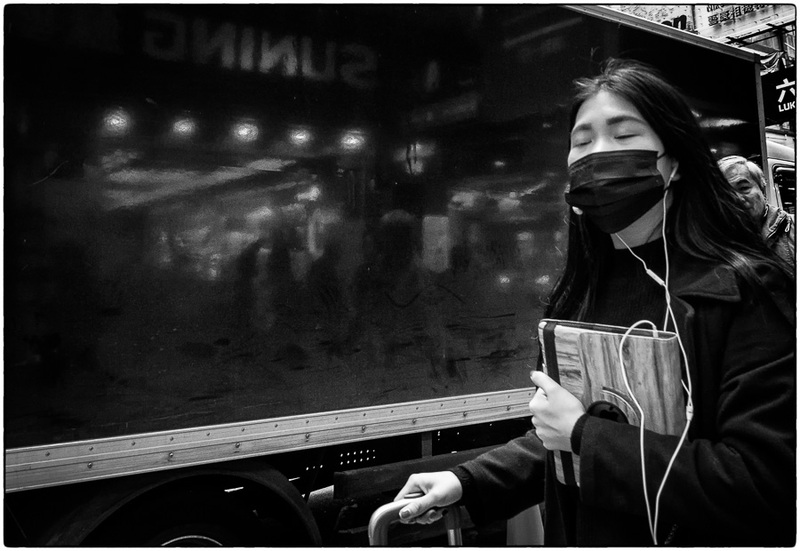 This is probably the most photos I’ve posted at one time. 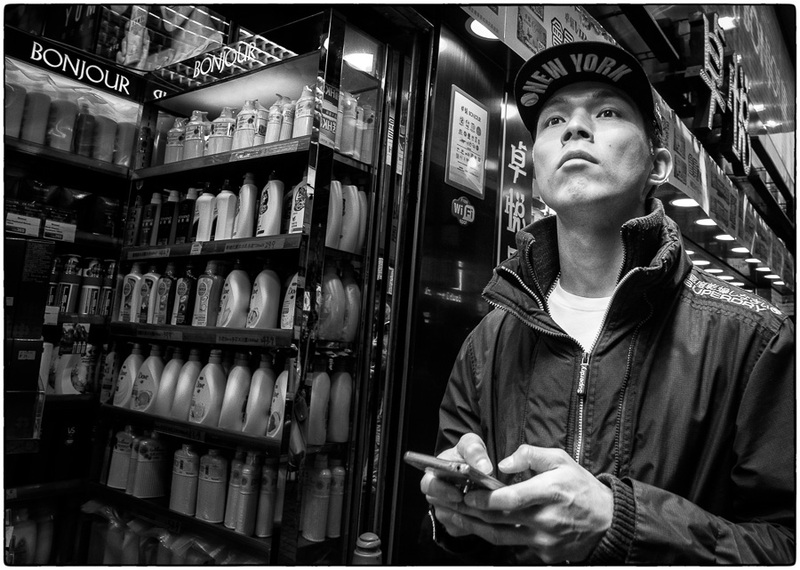 I hope you make it all the way to the bottom. 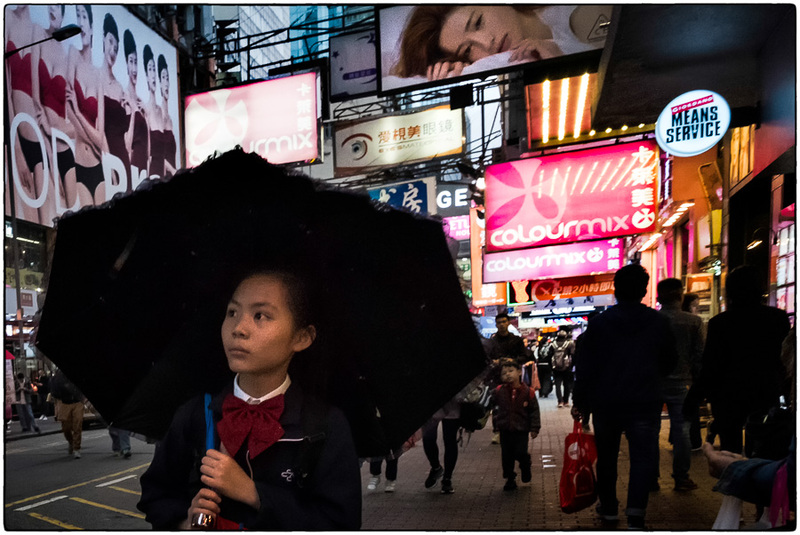 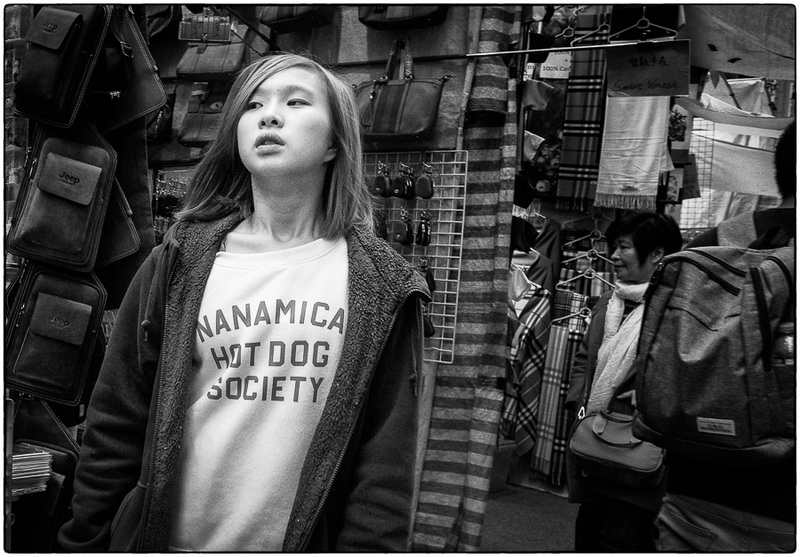 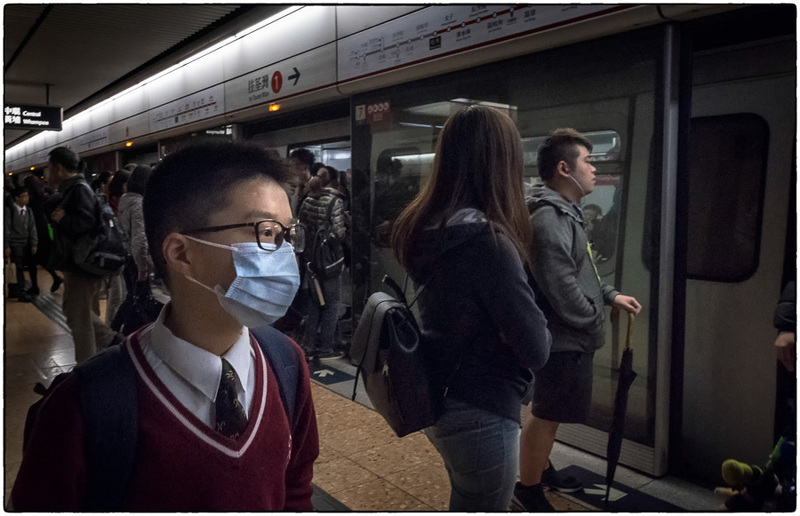 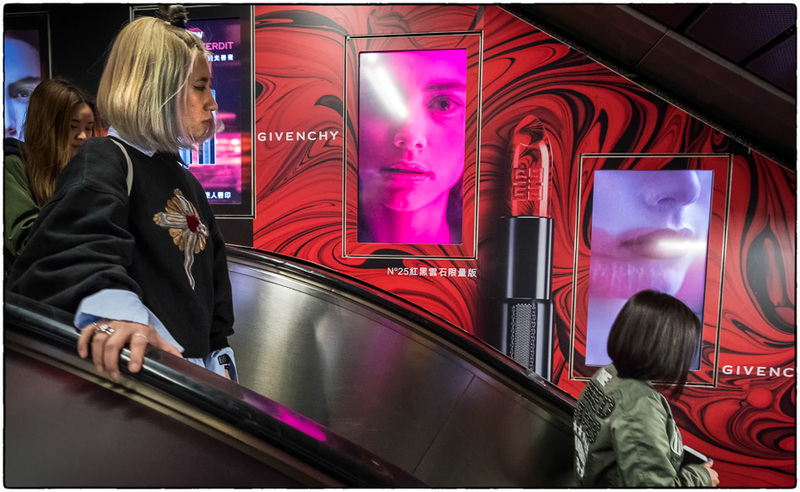 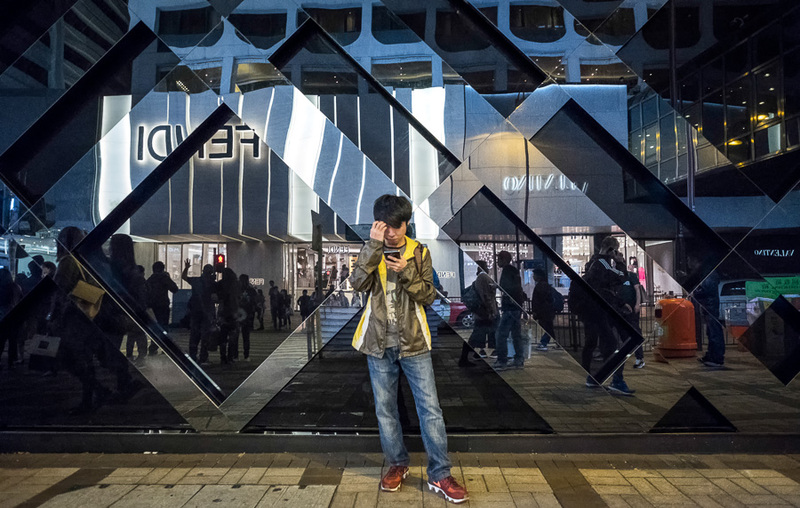 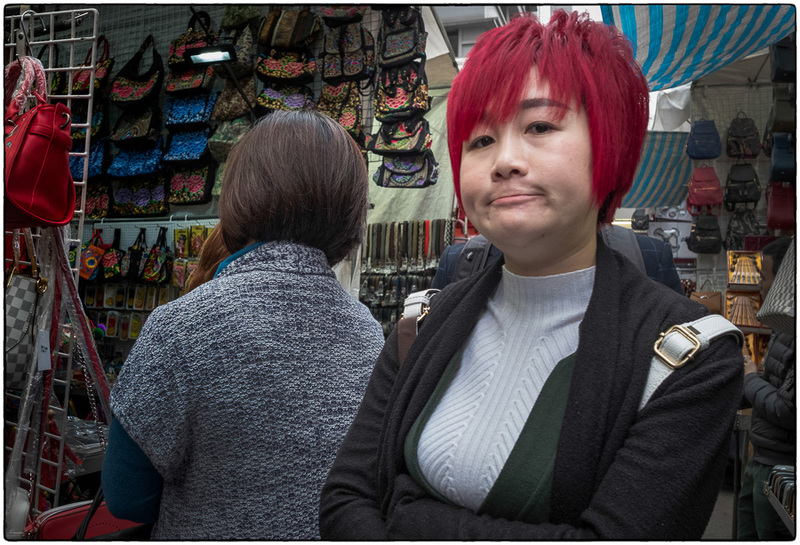 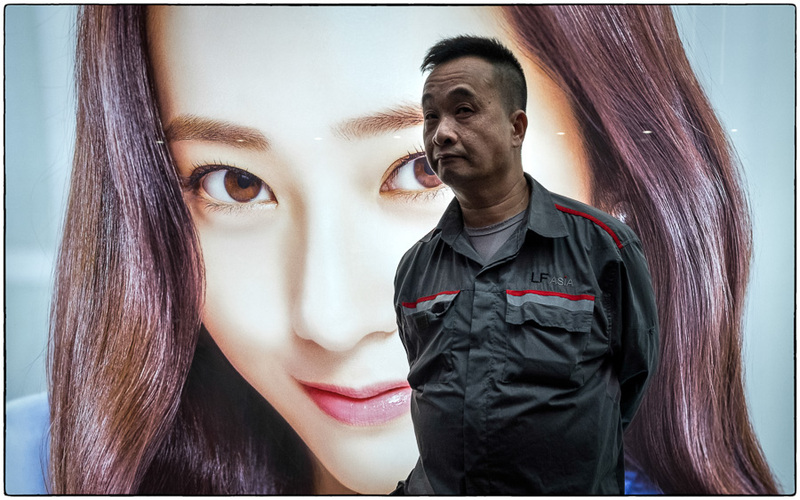 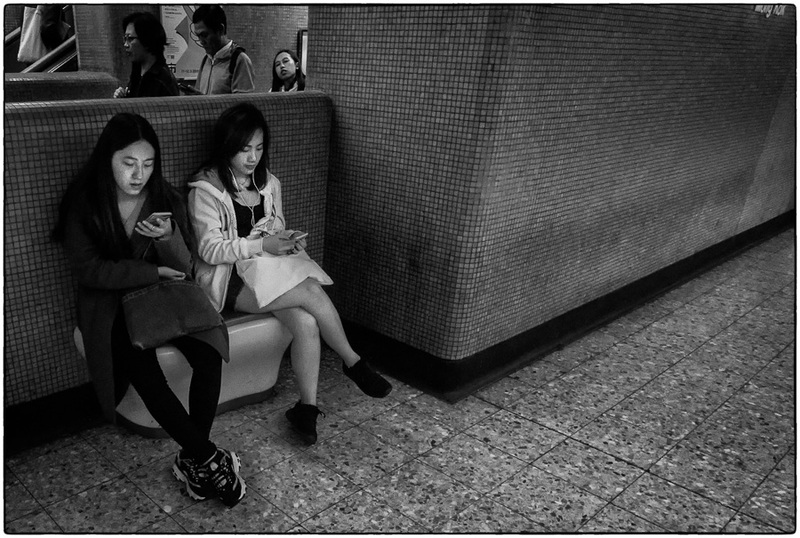 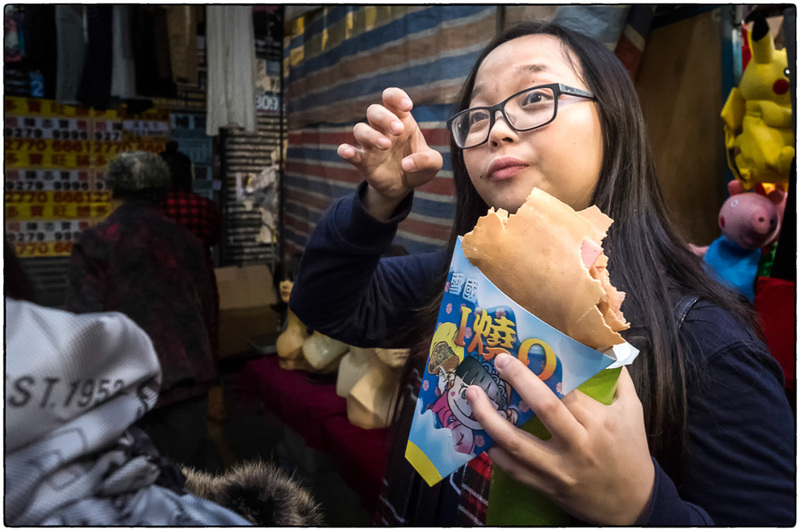 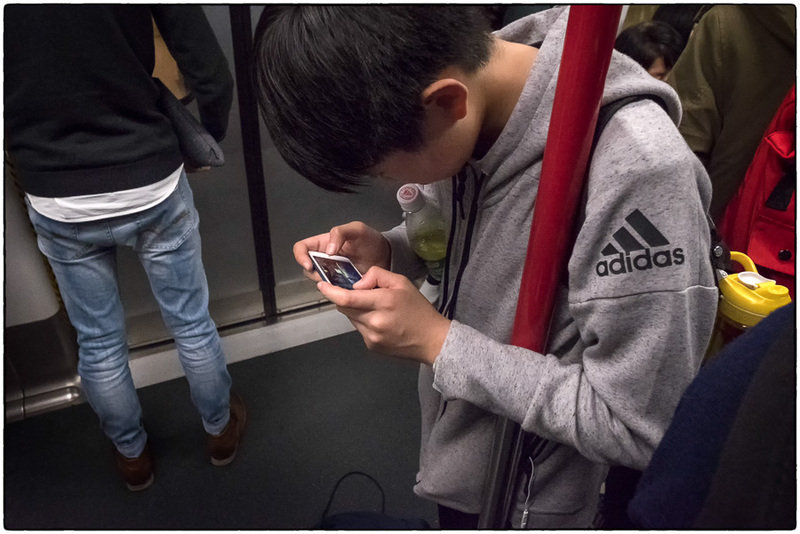 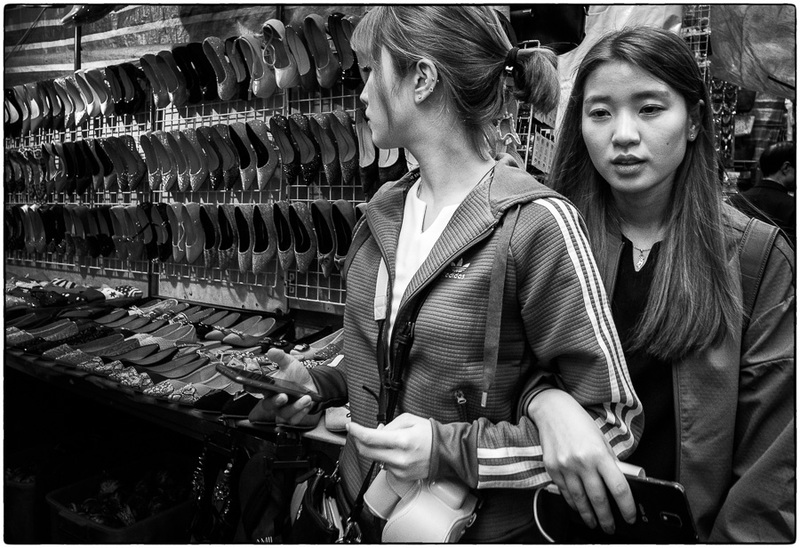 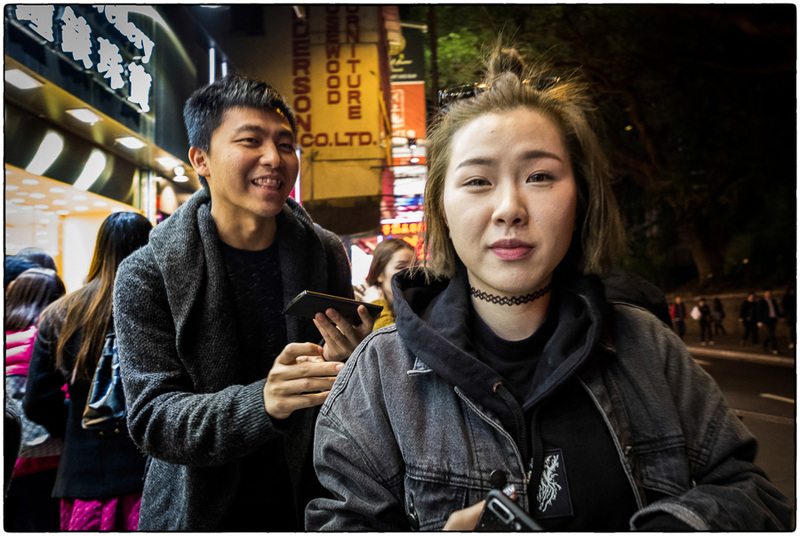 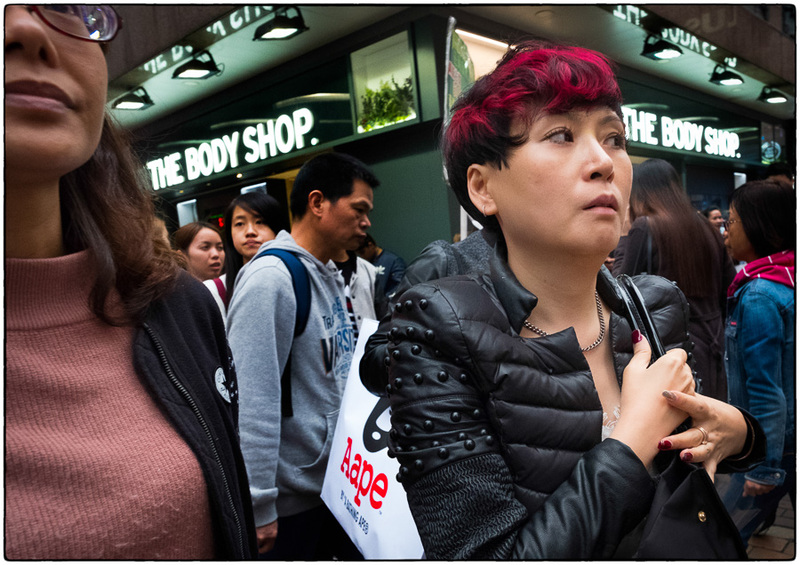 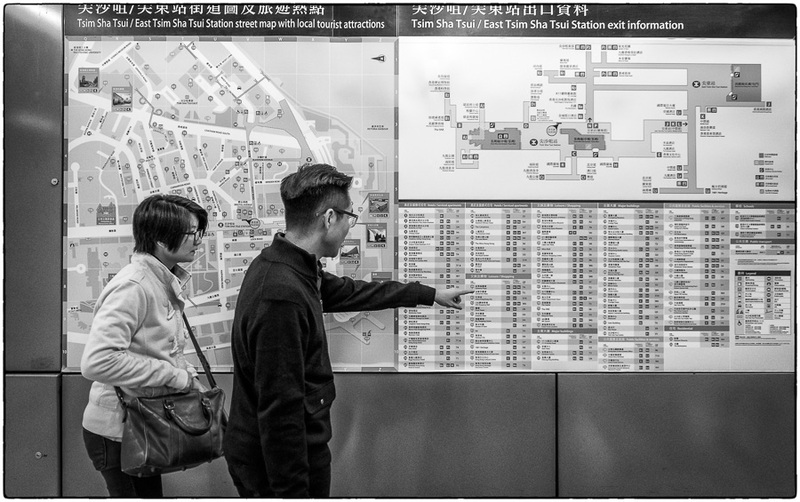 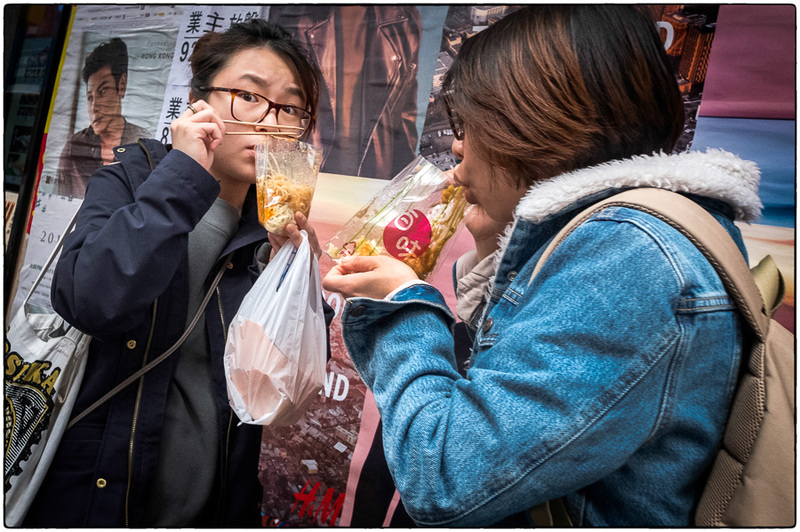 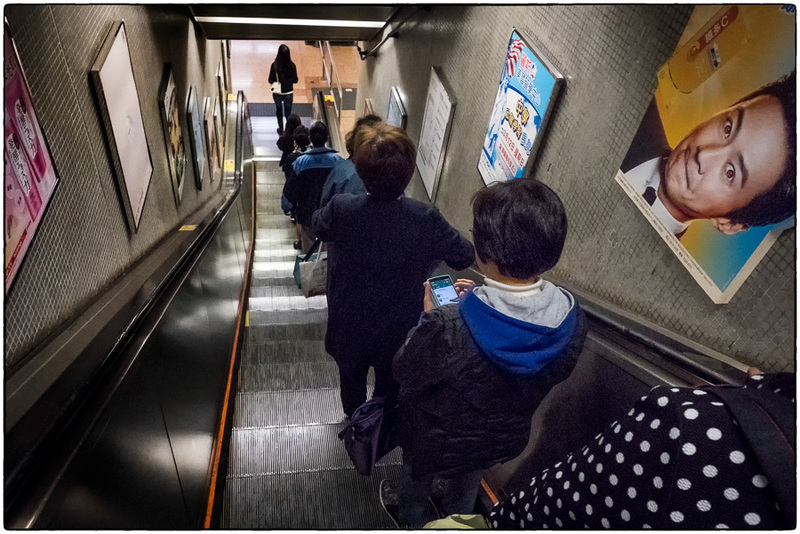 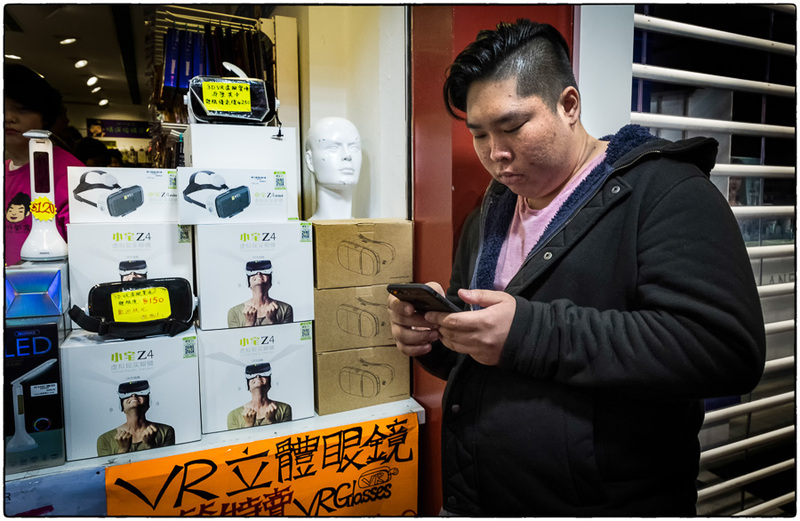 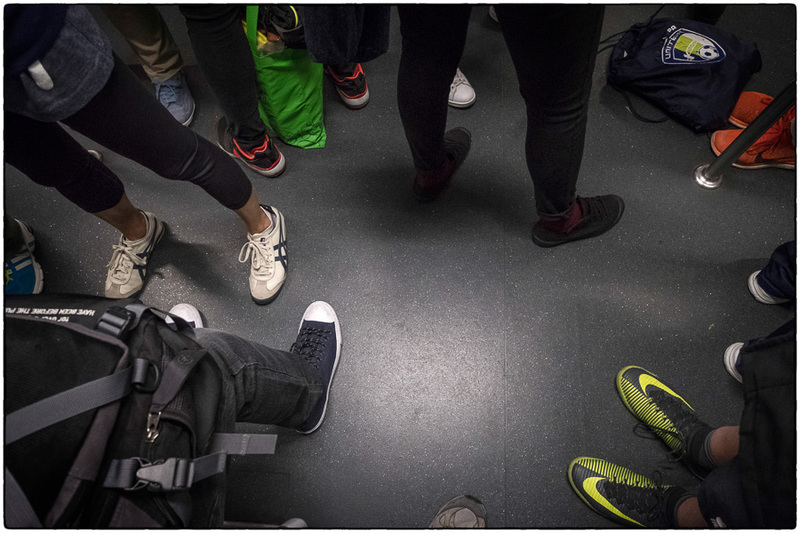 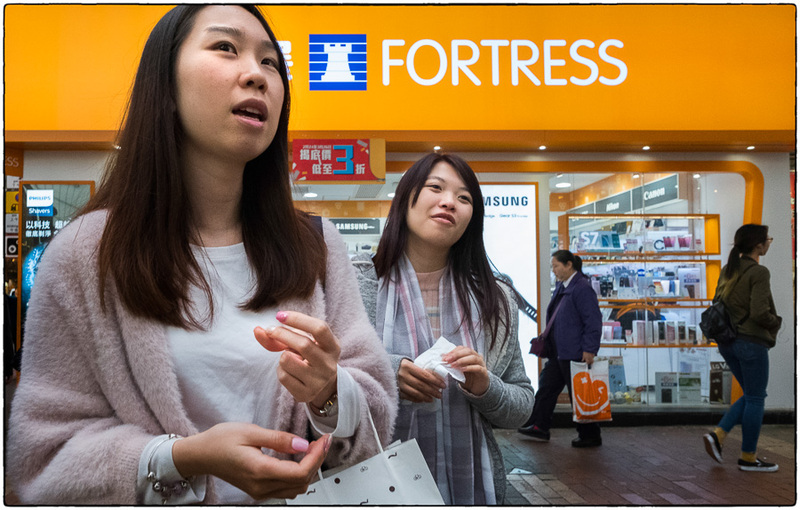 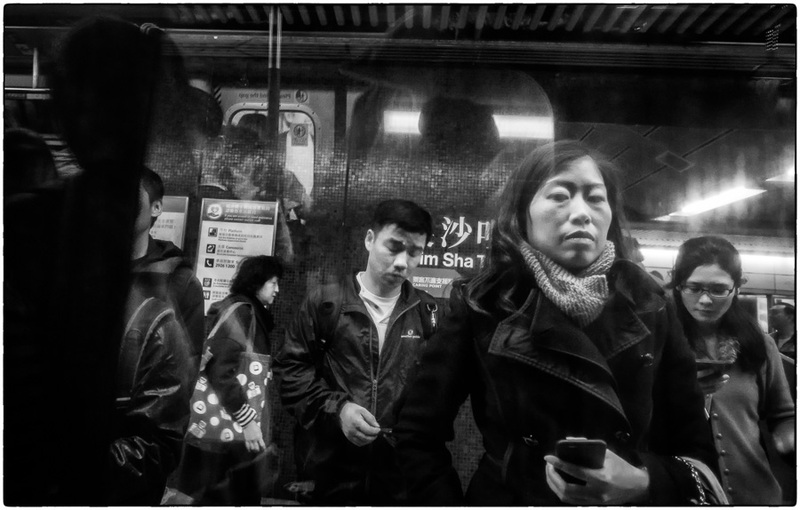 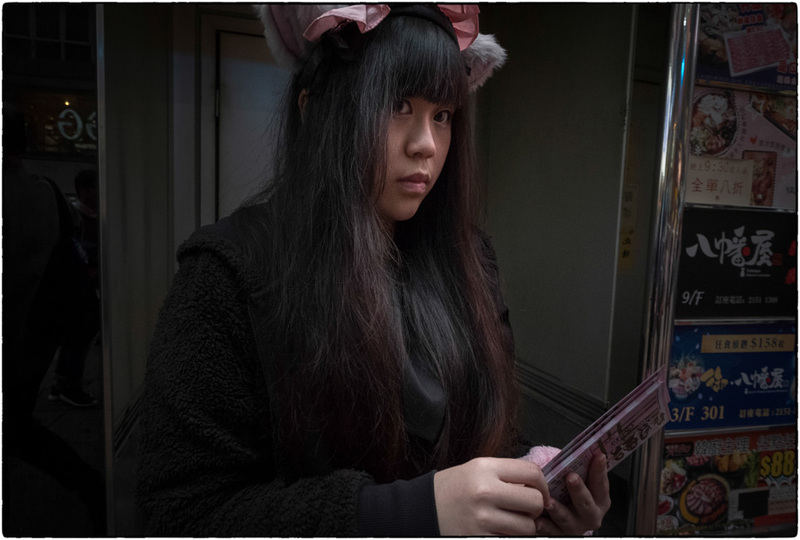 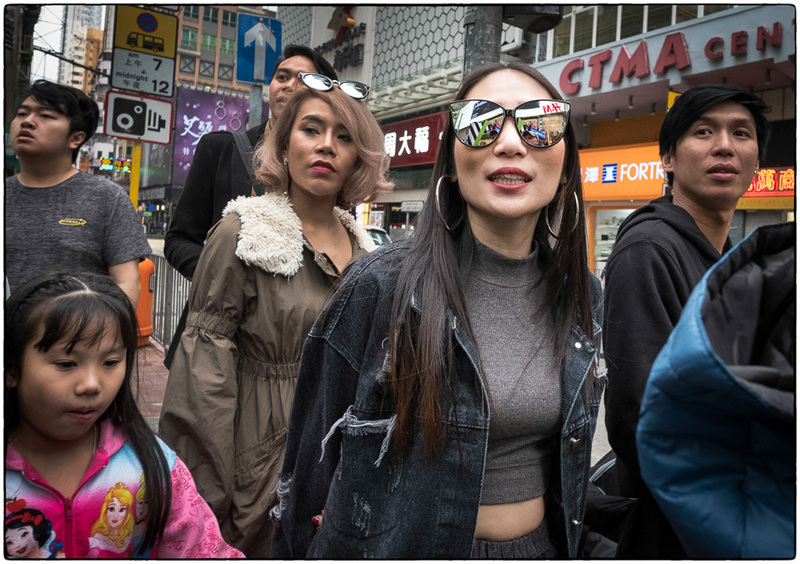 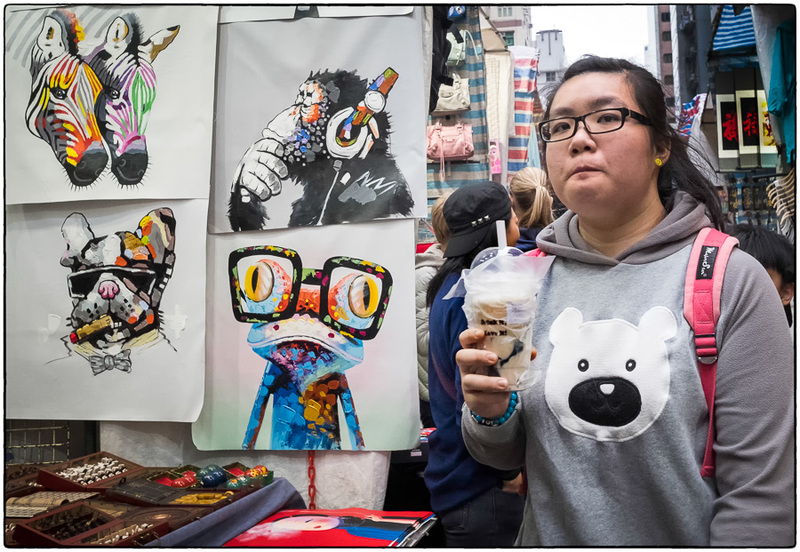 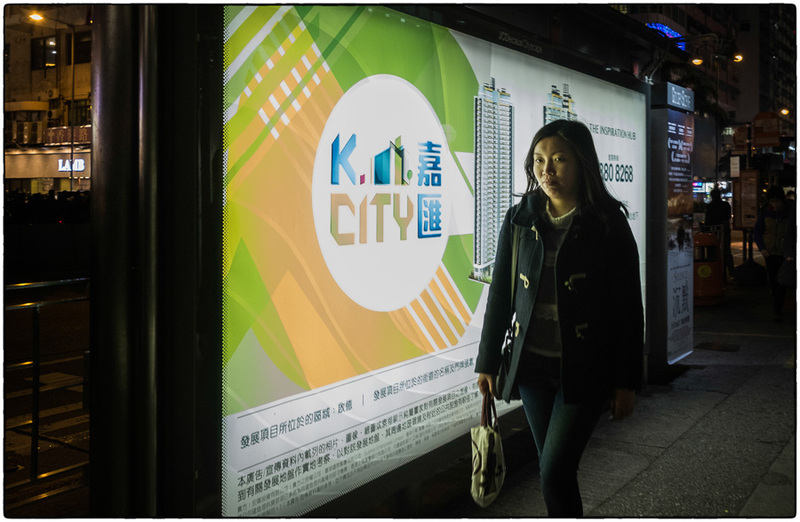 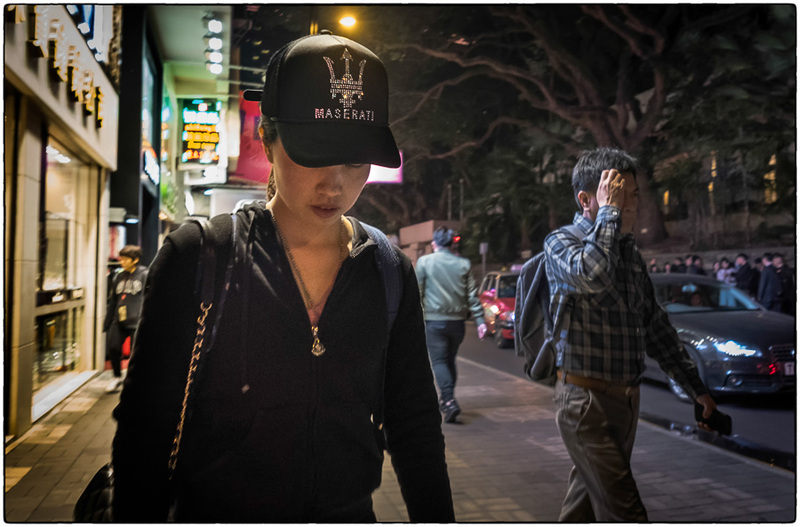 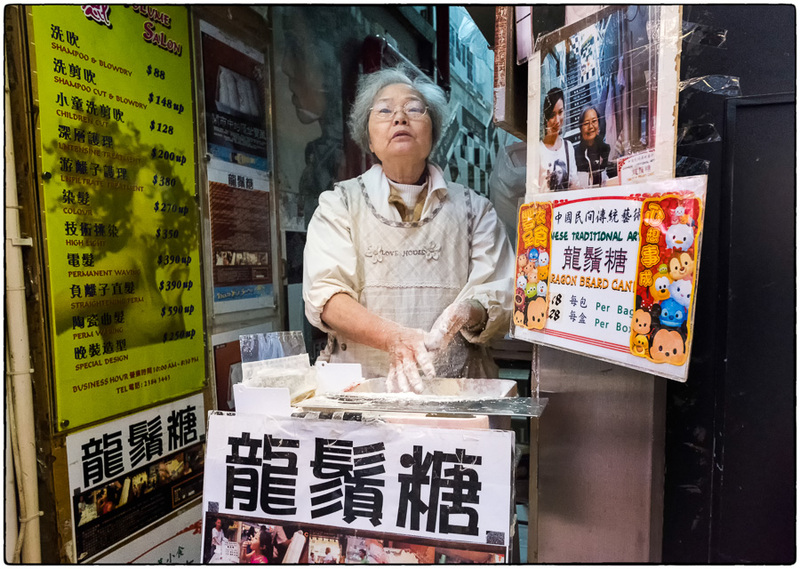 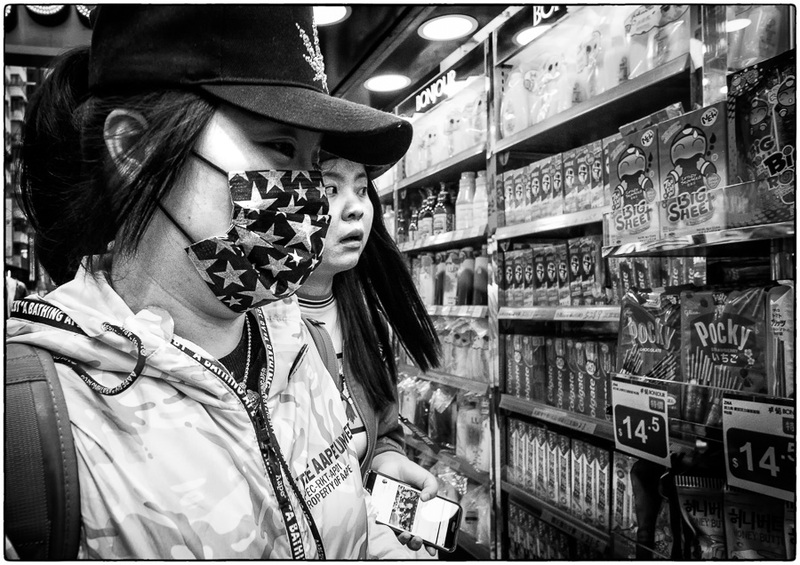 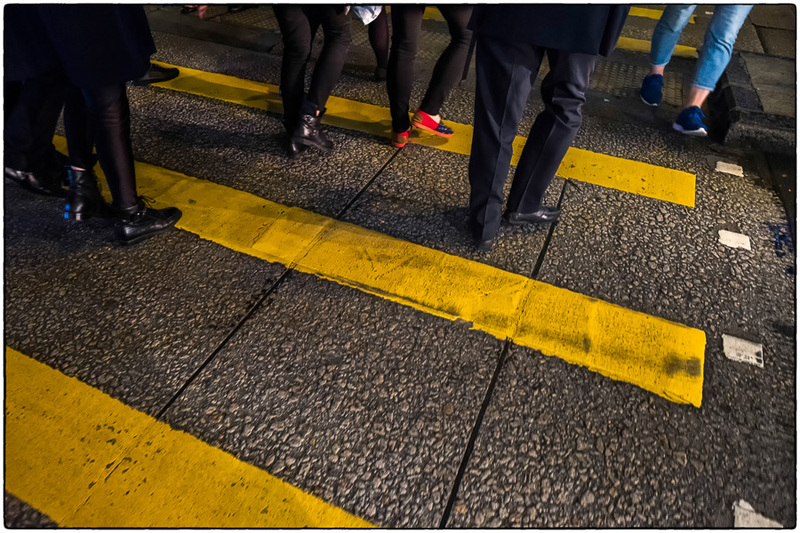 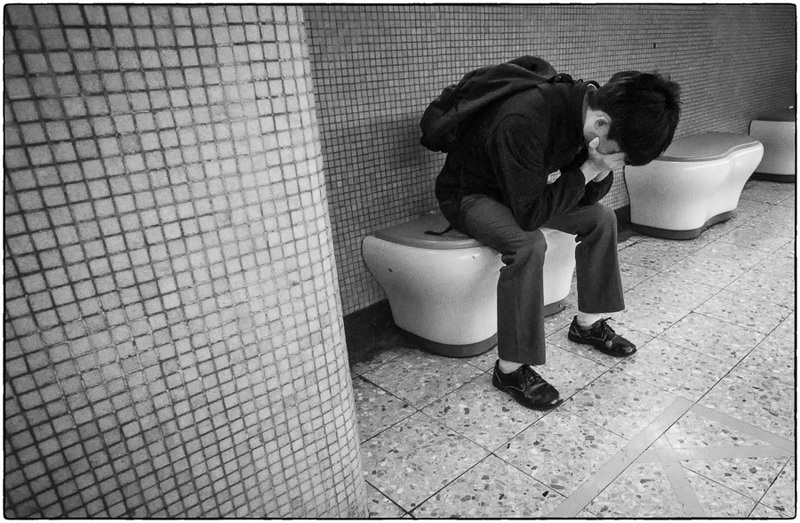 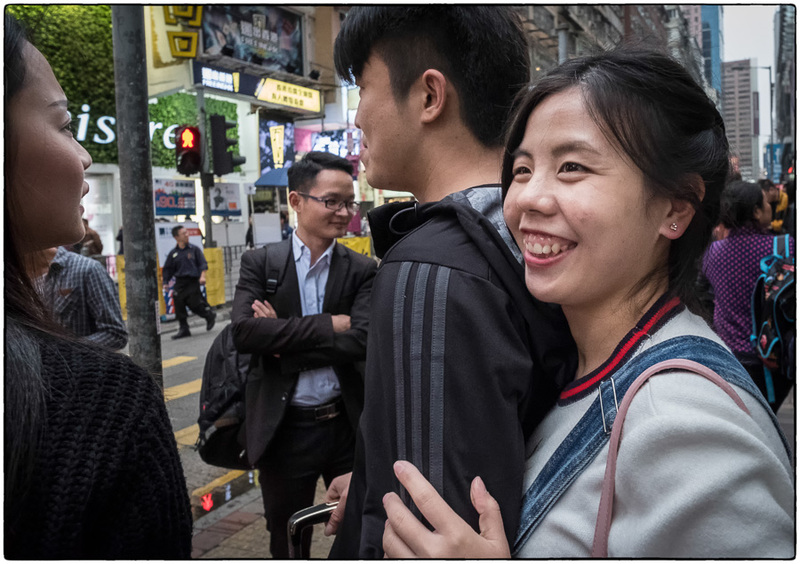 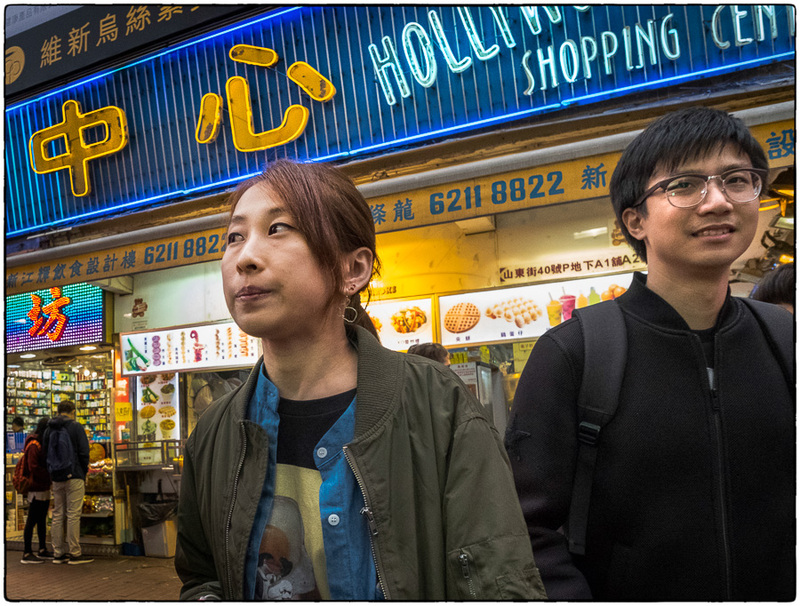 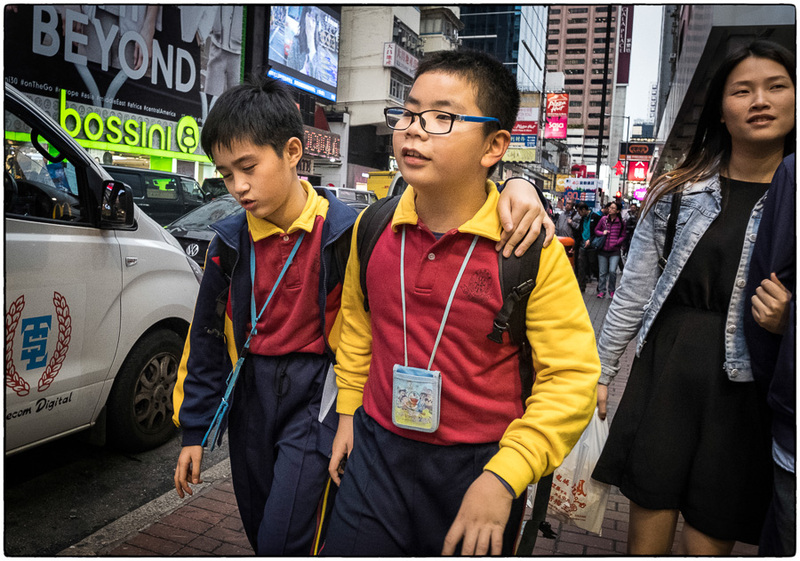 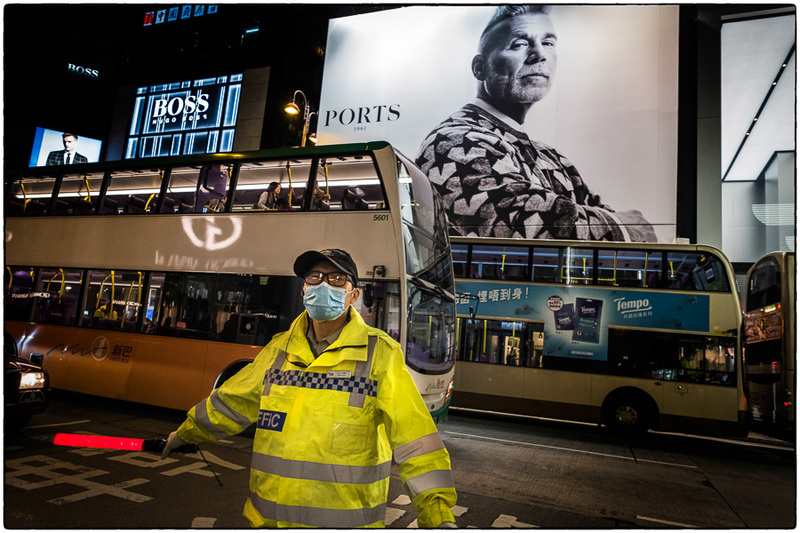 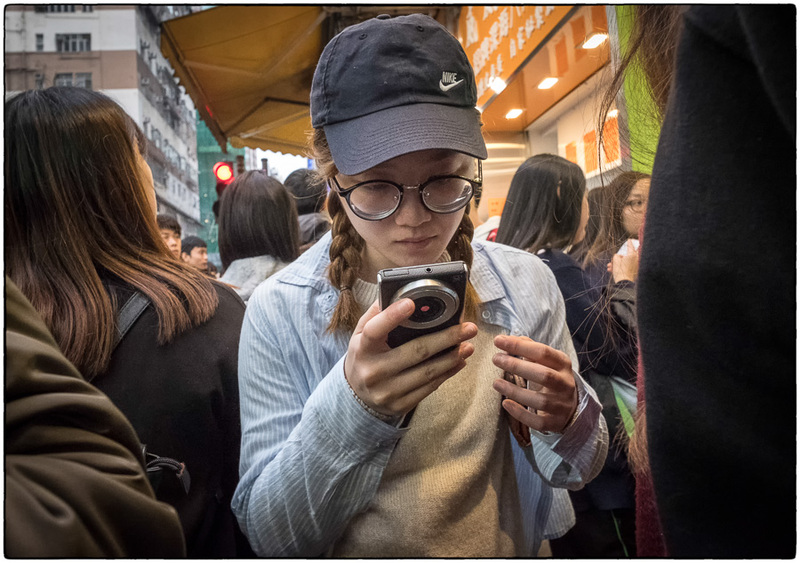 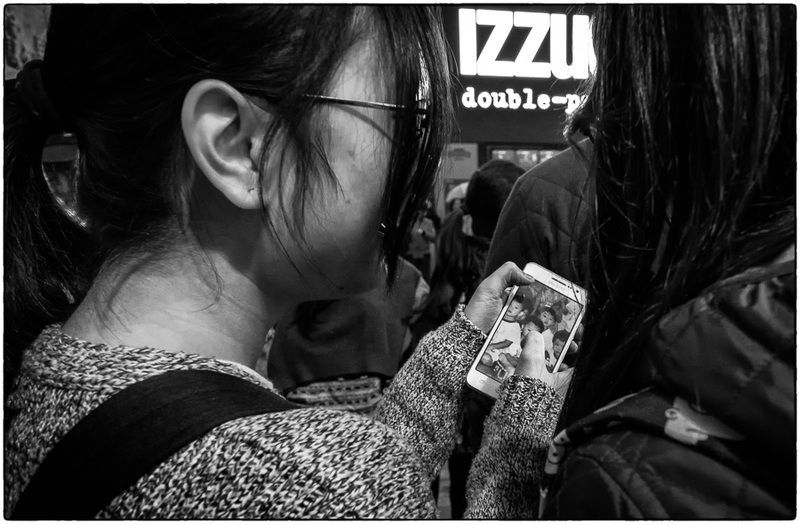 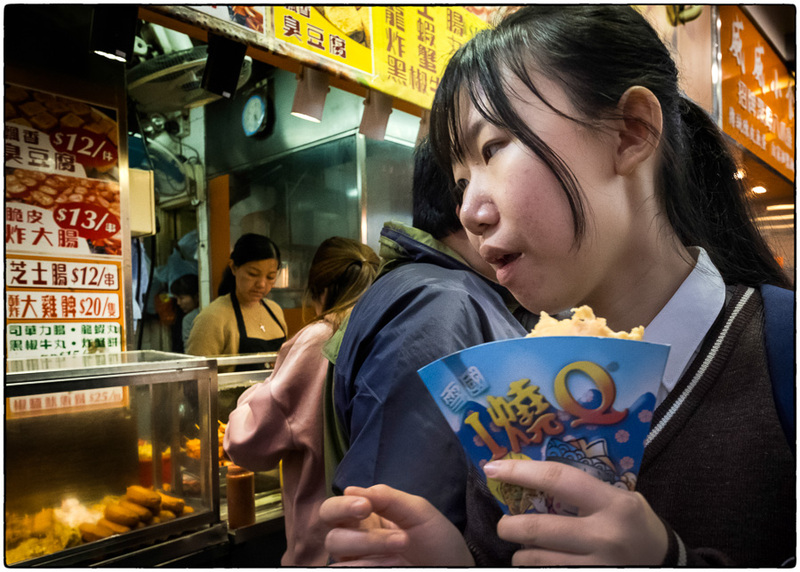 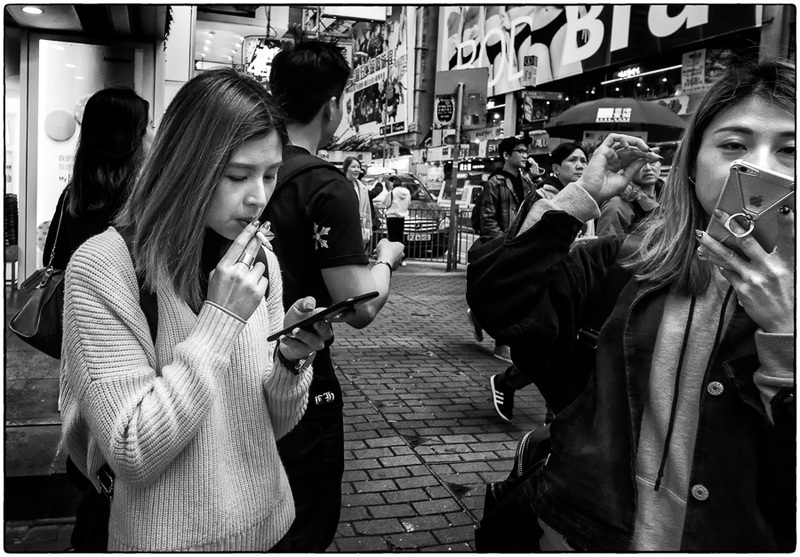 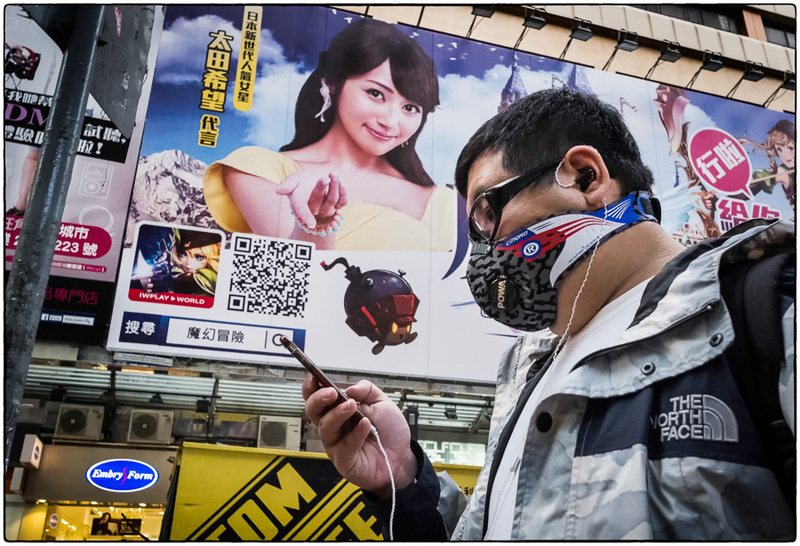 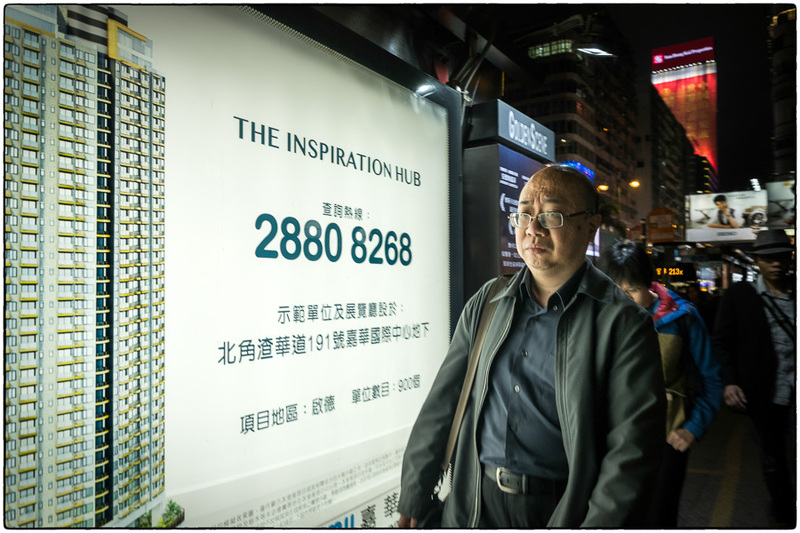 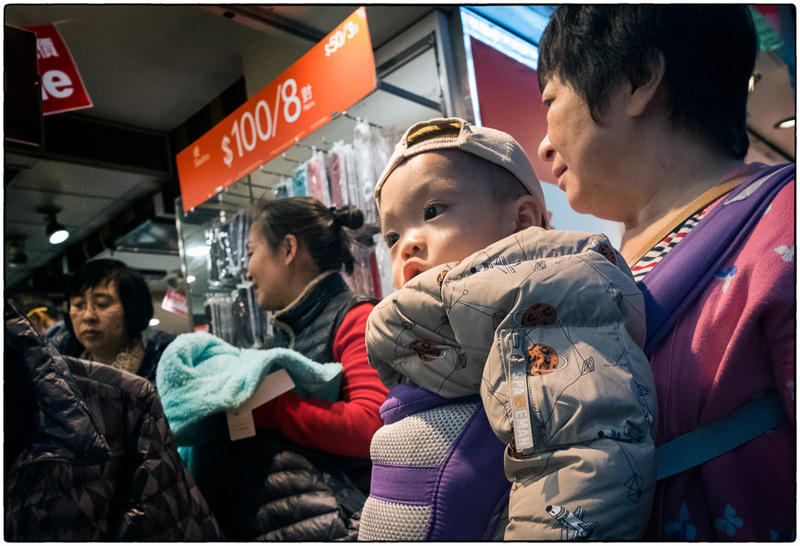 March 13, 2017 | Filed under China, Food, Hong Kong, Kids, Night, Old People, Portraits, Really great shots, Shopping and tagged with China, Hong Kong, kids, Night, Old people, shopping, Street food, Street photography.